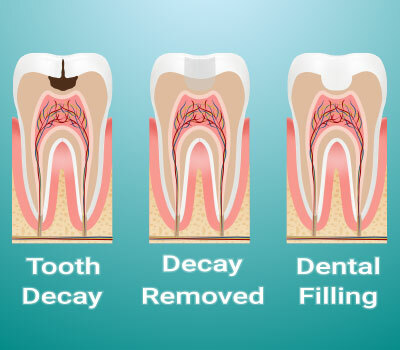 Dental cavities are caused by infection. It’s a simple fact – when you have a cavity, you need a filling. Fillings prevent cavities from growing, protect against infection, and keep you from losing your teeth. But many people need fillings replaced far too often. Fortunately, our focus on comfort and quality, combined with the attention to detail demanded by Dr. Chang, allows us to keep your teeth looking healthy and feeling good. Dr. Chang provides tooth-colored fillings made of resin composites to make sure your teeth stay attractive and aesthetic. Composite fillings rely on bonding or adhesion to seal the tooth, and Dr. Chang uses the utmost care and technology to provide a lasting result. Composite fillings are similar in durability to traditional silver amalgam fillings and, with proper care, can easily last for life. Prevention by way of regular exams is the best way to avoid decay. If we have to treat the infection, then we will take care of you with a practically invisible tooth-colored filling. Call Bloomvale Dental at (951) 325-4600 today.